Microsoft announced nine new Windows Phone 7 handsets that will be available this October and November from over 60 mobile operators in 30 countries in Europe, North America and Asia Pacific. Microsoft finally announced KIN, a new Windows Phone designed specifically for people who are actively navigating their social lives. The phone is brought to life through partnerships with Verizon Wireless, Vodafone and Sharp. 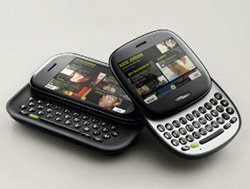 At the special Android press conference in Mountain View, Google officially confirmed the company’s first phone – the Nexus One. This HTC-branded device is running Android 2.1 and comes with 3.7" AMOLED 480×800 WVGA display, 1GHz Qualcomm Snapdragon chipset, 512MB flash onboard memory and 4GB removable SD Card (expandable to 32GB), 5 megapixel auto focus camera with LED flash and geo tagging, stereo Bluetooth, 3.5mm headphone jack, compass, GPS, accelerometer and light and proximity sensor. 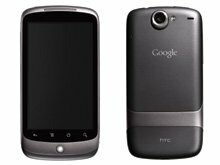 Nexus One is initially available from the new Google web store in the US without service for $529 or starting at $179 with a two-year contract from T-Mobile USA. Vodafone has voiced its opposition to plans to introduce a Receiving-Party-Pays (RPP) model in Europe, saying the move would force operators to raise retail charges. The telecoms company said this would lead to 40 million users getting rid of their cell phones. A three-way initiative between Vodafone Australia, Cisco and Research In Motion (RIM) is to launch an integrated business communications services in Australia known as Vodafone Business One. Starting later this year, it will combine all telecommunication services – fixed and mobile, voice and data, services and equipment – into one managed service with single-point accountability on installation, technical support and fleet management and one monthly invoice. The service will be focusing primarily on small-medium sized businesses of between 10 to 100 employees. By using Wi-Fi-enabled BlackBerry smartphones along with Cisco Wi-Fi and IP-PBX in the office, Vodafone Business One customers will be able to make calls within the office zone at fixed-line rates, while making calls outside the office via the Vodafone mobile network.